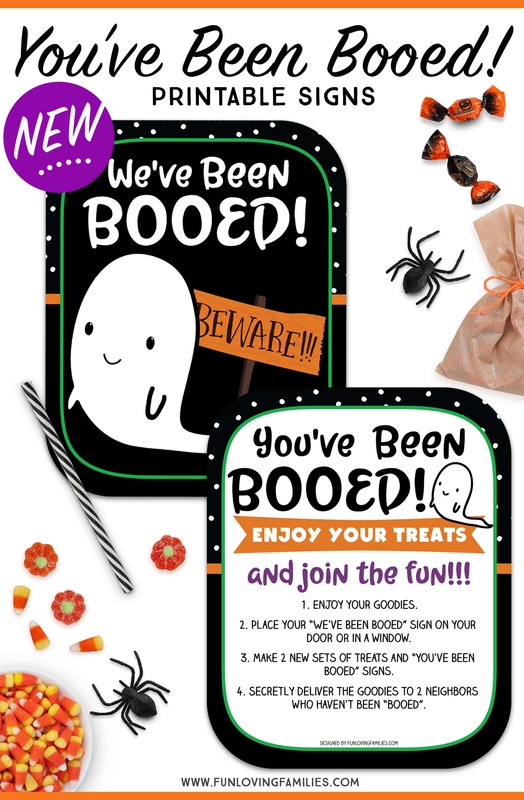 You’ve Been Booed Printable Signs – Super Cute and Totally FREE! 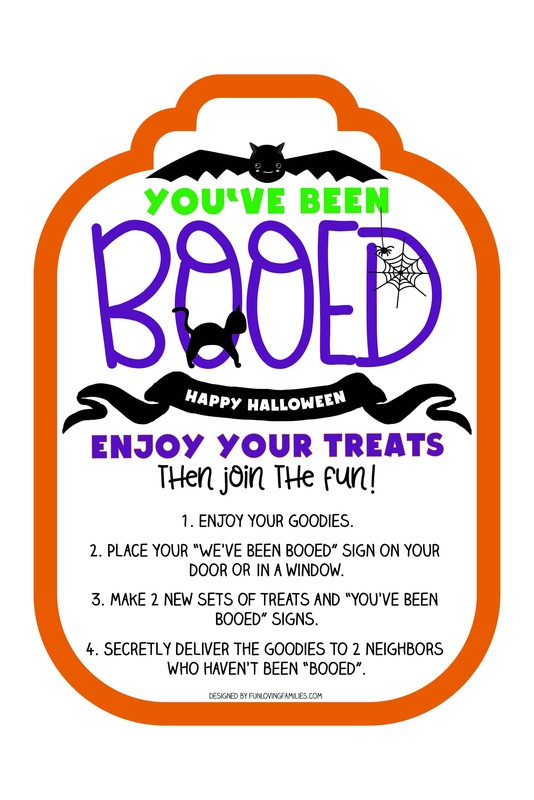 Ready to have fun “booing” your neighbors? 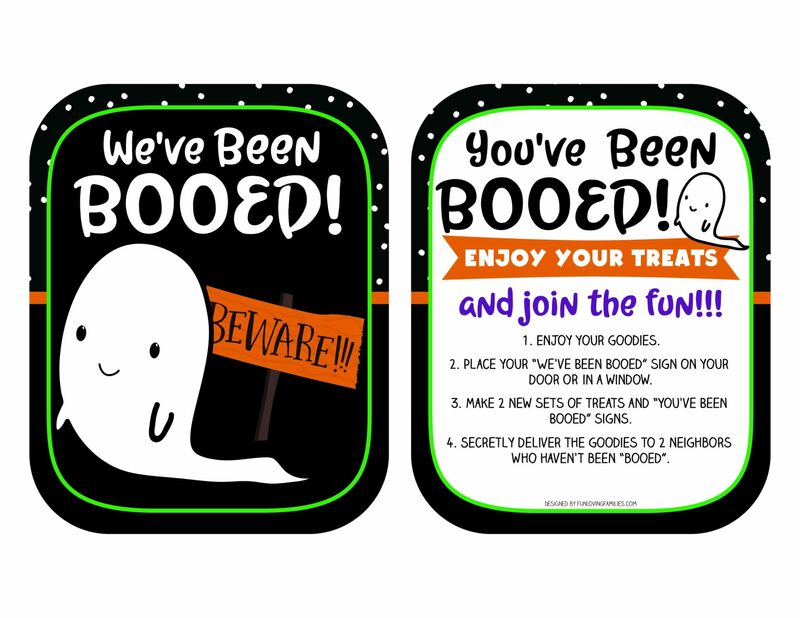 Grab these super-cute You’ve Been Booed printable signs and spread some Halloween cheer around your neighborhood. But, don’t get caught! 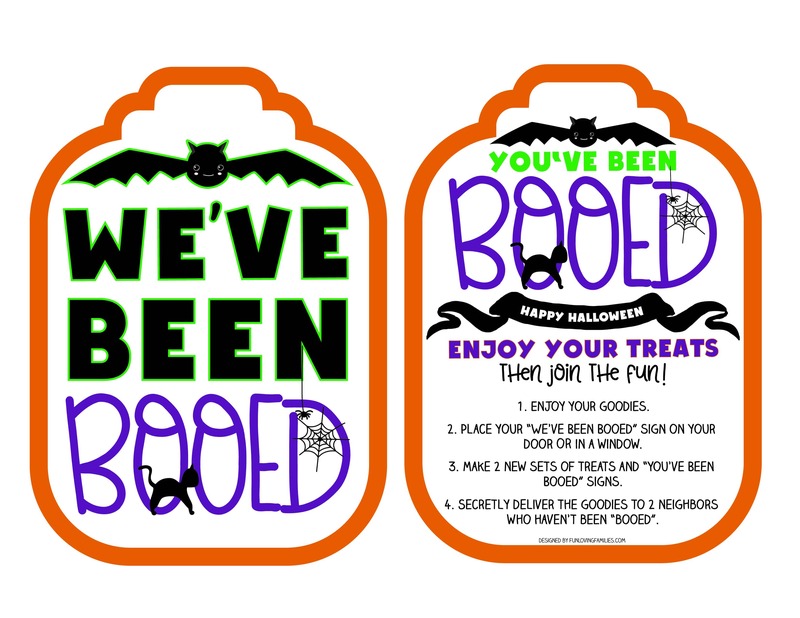 Keep reading to learn more and grab the free printable boo signs. My kids absolutely love getting “booed” and “booing” our neighbors. It may sound a little silly, but it’s so much fun. And it’s actually a great way to practice giving in a season that is usually all about hoarding candy! Actually, I think my kids really enjoy the Booing part more than getting booed! What is the Halloween Boo Game? So, what’s all this about being Booed? 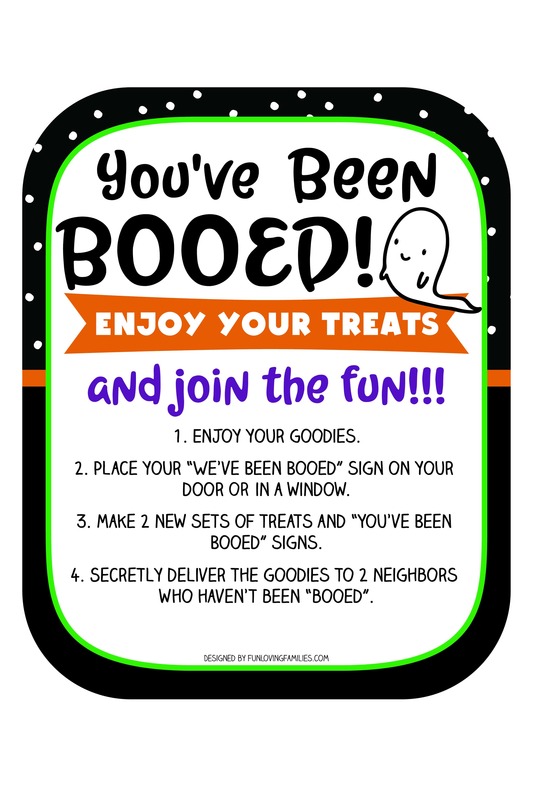 Quite simply, being booed is when you are surprised with a little gift of Halloween treats at your door with a sign that reads “You’ve been booed”. A friendly neighbor has put together their boo gift and stealthily made their way to your door. Then, they ring the doorbell and run away, so that all you see when you open your door is a little basket of Halloween goodies and the sign. Can you see why it’s so much fun for kids?! First, they get candy or small toys…and I don’t know any kid who doesn’t like that. They really feel special knowing that someone thought about them. Then, they get really excited about trying to figure out who the mystery gift is from. And, finally, they become obsessed with putting together their own boo basket and delivering it to their neighbors. These signs are seriously, so stinkin’ cute. I’m a total sucker for all things “cute”, and I had a hard time just settling on one design, so I decided to just go ahead and put BOTH printables out so that you can decide which one you prefer. In all honesty it has nothing to do with the designs and everything to do with the fact that I can’t make a decision to save my life. But, my indecision means that YOU get to choose! Let me know in the comments which sign you choose…Ghost? or Bat? I’d love to know! Look for the big pink download button below the images to get your printable PDF. When should you start booing your neighbors? There is no strict rule on this. We’ve been booed as early as about two weeks before Halloween, and that seems about right to us. If you’re itching to get started and want to be the first family in your neighborhood to start the boo game, then you could start as early as the first week in October. One of the good things about starting early is it allows for more time for the game to get around. We want all of the kids in the neighborhood to get booed, so if you start too late, Halloween might come around before the game has made its way to all of the houses. What should you put in your boo basket? Nothing big! Really, this is all about fun and sharing, so there’s no need to overdo it with something grand. Think small Halloween candies, suckers, small Halloween toys and stickers from the Dollar Store. Maybe some of those plastic fangs! If you’re close to the families and know their food preferences, perhaps you could make some kind of simple Halloween treats (e.g. put these candy eyeballs in everything from cookies to popcorn balls for an easy “monster” treat). If you liked these printables, please share them and save to Pinterest or Facebook!